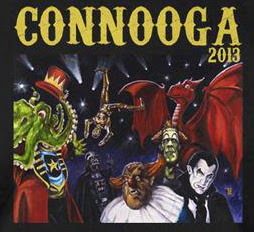 This weekend, I'll be a guest along with my fellow ESO co-hosts, Bobby Nash and Mike Faber, at Con Nooga in Chattanooga, TN. I have not been to this show since 2008. I had a fun time then and I've heard it has gotten bigger and better over the years! I will be appearing on a few panels and set up in the exhibitor hall. I hope to see you there! Stop by and say, "Howdy!" The ESO crew takes a look at one of tv’s tried and true tropes, the spinoff. Mike, Mike, and Bobby are joined by Joe Crowe (Dragon*Con American Sci-Fi Classics Track), Dan Carroll (Momocon), and Greg Plunket to review the best and worst of the bunch, even including spinoffs of spinoffs! We are also joined by writer Jim Beard, who may be familiar with monsters, but can he survive The Geek Seat? All this, along with the usual Rants, Raves Khan Report and Shout Outs! To listen, click the link above or download this podcast from iTunes. 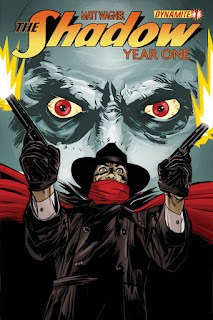 This week, my Shout Out goes to The Shadow: Year One #1 by Matt Wagner and Wilfredo Torres! Check out the new items in our Amazon store! Next week, the Earth Station One crew is on the case with Mr. Steed and Mrs. Peel as we look back at the British spy-fi thriller, The Avengers. And if that wasn’t enough, we’ll have the usual Rants, Raves, Shout Outs, and Khan Report! ESO wants to hear from you! What are your favorite Avengers episodes? Also, have you recently visited a cool convention or planning one? Drop us a line at www.esopodcast.com, the ESO Facebook Group, email us at esopodcast@gmail.com, or call us at 404-963-9057 with your comments. We just might air your comments on the show! Geronimo! Mike, Mike, and Phantom Troublemaker review the last of the regeneration stories, and it looks like we saved the best for last! 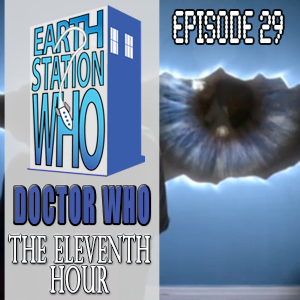 We are joined by Terry Lightfoot (www.DirtyWHOers.com), who was kind enough to bring the fish fingers and custard and tell us tales of Gallifrey 2013. Check out the cool Doctor Who merchandise in our Amazon store! If you would like to leave feedback or a comment on the show, feel free to contact us via the ESW feedback line at (404) 963-9057 (remember long distance charges may apply), our ESW Facebook group page, or email eswpodcast@gmail.com. 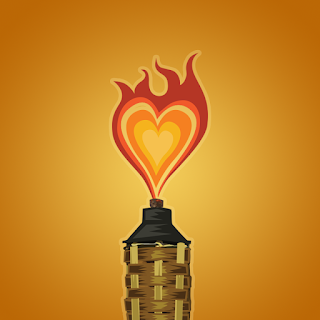 Apologies for no preview last week due to technical issues. Still working on getting my head straight. Would you believe the iconic entertainer Mel Brooks visits the station and shares some laughs with the crew? No? How about his son, writer Max Brooks? No? How about Mike, Mike, and Bobby reviewing the great career of Mel Brooks with Sammi Stephans (Your Site of Sites), Patrick Freeman (Sci-Fi Janitors), Alex Autrey (7th Row Center), and Dr. Scott Viguie (Dr. Geek’s Laboratory). And loving it! Writer James Palmer feels some “high anxiety” as we strap him to The Geek Seat, and chairman Todd Patton tells us how it feels to be one of “the producers” of Con Nooga. Plus the usual Rants, Raves, and Shout Outs! 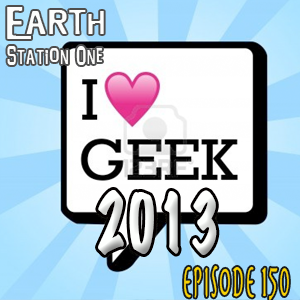 Earth Station One Episode 151: The World of Mel Brooks, Harrumph! 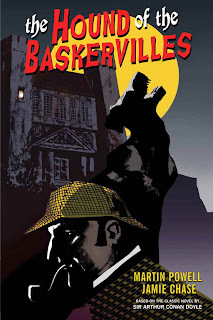 This week, my Shout Out goes to The Hound of the Baskervilles! 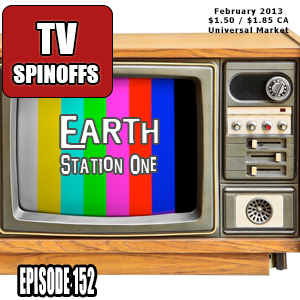 Next week, the Earth Station One crew takes a look at one of entertainment’s tried and true tropes, the spinoff. From Joanie and Chachi heading off to Deep Space Nine, ESO takes a look at some of our favorite spinoffs, not to mention a few of those that didn’t do so well. And if that wasn’t enough, we’ll have a special interview, the Geek Seat, Rants, Raves, Shout Outs, and ESO’s Khan Report! ESO wants to hear from you! What are your favorite movie and tv spinoffs? Also, have you recently visited a cool convention or planning one? Drop us a line at www.esopodcast.com, the ESO Facebook Group, email us at esopodcast@gmail.com, or call us at 404-963-9057 with your comments. We just might air your comments on the show! Dearly beloved geeks! We celebrate our 150th episode with the most guests ever! We gathered together at the new Titan Comics and Games in Smyrna, GA to discuss the current state of geekdom. ESO cohosts Mike, Mike and Bobby presided over the event with the following representatives: Anthony Taylor, award-winning artist Mark Maddox, Alex Autrey (7th Row Center Podcast), Doctor Q, Mark Heffernan, Nikki Rau-Baker, Andrea Judy, Patrick Freeman, CD Ske, John Strangeway, Peter Cutler, and Victor Fishman. And there was much filibustering! God bless the United States of Geekdom! 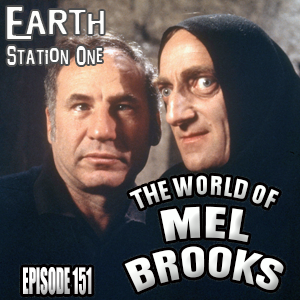 Next week, the Earth Station One crew shines a spotlight on the works of Mel Brooks. And if that wasn’t enough, we’ll have a special interview, the Geek Seat, Rants, Raves, Shout Outs, and ESO’s Khan Report! ESO wants to hear from you! What are your favorite Mel Brooks movies? Also, have you recently visited a cool convention or planning one? Drop us a line at www.esopodcast.com, the ESO Facebook Group, email us at esopodcast@gmail.com, or call us at 404-963-9057 with your comments. We just might air your comments on the show! 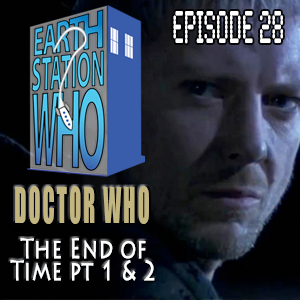 “I don’t want to go!” are the last words of the Tenth Doctor and we were not sure we wanted to go review this two-part finale either. But Mike, Mike, Phantom Troublemaker and Dr. Geek do what must be done for Gallifrey! For victory! For the end of time itself! We also take a look at the first BBC America 50th anniversary special, Doctor Who Revisited, and the classic story, The Aztecs. The ladies have a point. 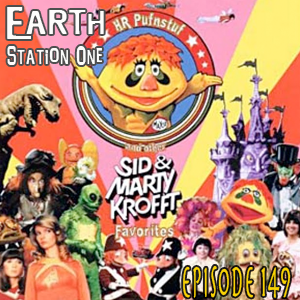 The ESO crew, on a routine expedition, met the greatest earthquake ever known and landed in the wild and wacky world of Sid & Marty Krofft. Join Mike, Mike, Bobby, and special guests Darren Newell (Legion of Substitute Podcasters), Johnny League (Metro Atlanta Geeks), and Joe Crowe (Dragon*Con American Sci-Fi Classics Track Director) as they discuss everything from Witchiepoo to Bigfoot and Wildboy and every quirky character in between. We also introduce writer Christopher Mills to the perils of The Geek Seat! All this, plus the usual Rants, Raves, Khan Report, and Shout Outs! 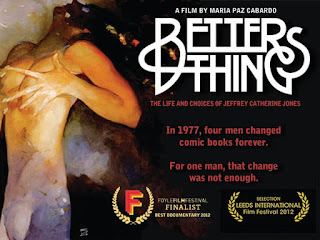 This week, my Shout Out goes to Better Things: The Life and Choices of Jeffrey Catherine Jones! Next week, come out and meet Earth Station One’s Mike Faber, Mike Gordon, and Bobby Nash along with Dr. Q and the Ratchet Retro Podcast crew and some special guests at Titan Games and Comics in Smyrna, GA on Sunday, February 10th from 2 p.m. - 4 p.m. as we record episode # 150. We want you! That’s right, we’re looking for folks to join us as we talk about all things geeky. Who knows, we might even strap you down in The Geek Seat! Even if you can't make the live broadcast, ESO wants to hear from you! How do you feel about the current state of geekdom? Also, have you recently visited a cool convention or planning one? Drop us a line at www.esopodcast.com, the ESO Facebook Group, email us at esopodcast@gmail.com, or call us at 404-963-9057 with your comments. We just might air your comments on the show! 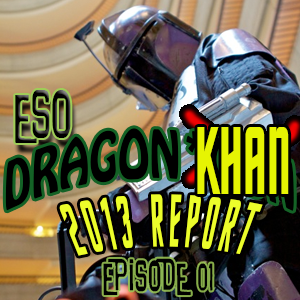 Welcome to the first episode of ESO’s spotlight on Dragon*Con 2013! Preparing for one of the biggest and best cons of the year is very nearly a year-long process and we’re here to help every step of the way. ESO co-hosts Mike and Mike are joined by Darren Nowell, Mary Lou Who, and Nikki Rau-Baker for the latest news and tips to help make this year the best one ever! ESO wants to hear from you! Do you have any questions about Dragon*Con you'd like us to answer? 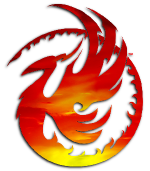 We'd also love to hear about your past Dragon*Con memories! Drop us a line at www.esopodcast.com, the ESO Facebook Group, email us at esopodcast@gmail.com, or call us at 404-963-9057 with your comments. We just might air your comments on the show! Forget about the big game, the Harbaugh family reunion, or spending the day with the dead! 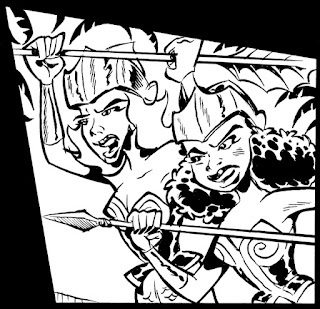 The event to be at this Sunday is the Atlanta Comic Convention! Artists! Dealers! Free t-shirts (while supplies last)! I'll be there with my ESO co-hosts Bobby Nash and Mike Faber. Hope to see you there!